In the 2000 movie release “Boiler Room” Greg Weinstein (in)famously talked about how to sell stocks to women. His advice? Don’t. While I’m not on a Hollywood big screen, I am here to tell you this: Greg Weinstein is a moron. Let me give you a few facts about women, wealth and investing. Affluent women are a powerful and growing force in the alternative investment investor landscape. According to a 2014 Preqin report, high net worth investors account for 9% of hedge fund investors by type and 3.6% of the total assets in hedge funds. For many emerging hedge funds, high net worth investors comprise up to 100% of their assets under management. High net worth investors are therefore a critical part of the alternative investment investor-verse. One final fact: Preqin released statistics on Monday showing that assets under management in alternative investments (including hedge funds, private equity, real estate, private debt and infrastructure) has grown to $6.9 trillion dollars. If high net worth investors account for 3.6% of the AUM in alternatives, then nearly $250 billion of all alternative investment assets come from their pockets. 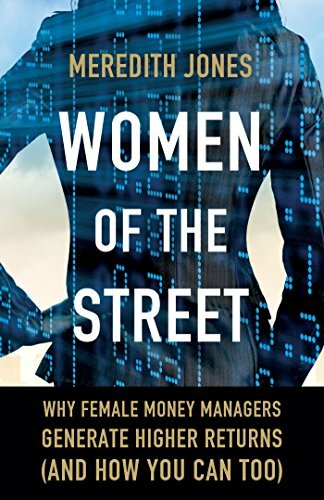 If women are sole or equal decision makers in 90% of high net worth households, then women control or influence nearly $225 billion of alternative investments. As managers struggle to raise assets, as RIAs and CFPs look for new clients, as first funds look to launch, there should be a concerted effort to integrate this significant segment of the investor-verse. Failure to do so is not just short sighted, it’s also business-limiting. If you haven’t started thinking about how you can attract female investors, it’s time to start. I attended a women and wealth conference in New York last week. There were only three men in attendance. One was a speaker. One worked for another speaker. I didn’t get a chance to meet number 3, but suffice it to say that, based on my experience last week, it seems the emerging market that is women is continues to be overlooked by the financial services industry. Wake up, y’all. Greg Weinstein was wrong.